Being exhausted from hair loss issues is not an uncommon problem for individuals nowadays, especially, people who are living in metros. Hair transplant is the best available hair loss treatment. So what is the best place for hair transplant in Ahmedabad and what are the available transplants one can choose as per the case.? We will answer these questions in the following blog. But, before you choose your hair surgeon. Take a view of different hair transplant techniques. Hair loss has been around for a really long time, but the treatments are actually a little more recent. While the very first hair transplant procedures were conducted in the 1890s, the modern methods were established in the 1930s and by the time we reached the 1960s, there was much that was happening in this domain. What’s more, now we are in a tech age with the advanced methodology of hair restoration. In recent decades, hair issues are expanded and also their medicines and strategies. Anyway, what are the most supported hair treatment systems utilized these days by hair specialists, how are they processed and what could be the benefits? 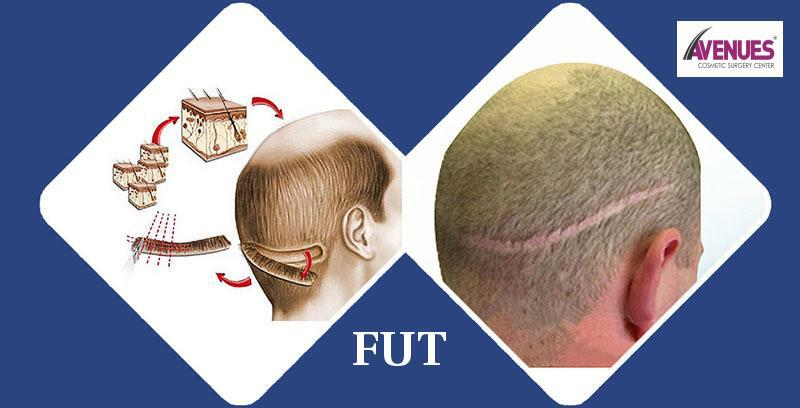 In FUT the growth of hair is reestablished by planting a segment of tissue from donor region to the recipient area of the scalp. Specialists can plant a huge number of hair follicles in a solitary day session. First, hairs are trimmed from donor(back head) area and local Anesthesia is given. The surgeon using a microscopic instrument dissect the strip of tissue from the donor area from which the hair follicles would be extracted. The doctors prepare recipient area and follicular grafts are placed on the bald area in small irregular shaped pieces. Big grafts are placed on the front line and small ones on the back line. After the process at donor area, a scar is left, which heals in few days. Doctors prescribe some medication and guide to follow some precautions for fast and better results. 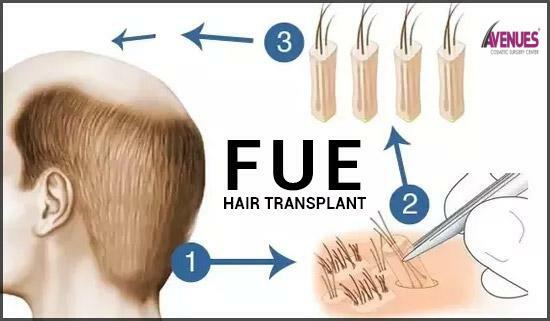 FUE (follicular unit extraction, or now follicular unit transplantation) is a sort of hair transplant surgery that includes extracting singular hair follicles from a donor part of the body, normally the sides and back of the head.In FUE system, every hair join is expelled from the donor area one by one utilizing a punch instrument. When undergoing an FUE procedure, the entire scalp must usually be shaved in advance. As the FUE technique only allows a surgeon to take every second hair graft from the donor zone, the yield of grafts from the area is lower. Many clinics are forced to go outside of this zone which means these transplanted hairs will become thin and may be lost as a patient becomes older. It can also result in circular scars in the donor region becoming visible over time. The survival rate of grafts in an FUE technique is lower than it is with FUT as the accuracy of the punch tool is lower than that of a technician using a microscope. BIO-FUE is fundamentally the same as the FUE procedure. In this method, the development factors are separated from blood and re-infused into the transplanted region giving amazing outcomes for hair growth (PRP). This isn’t useful for transplanted hair yet in addition to strengthening the current thinning hair follicles. It is an advanced strategy which is joined less and easy. PRP (Platelet Rich Plasma) therapy is a scientifically proven method for hair loss treatment. In PRP patient’s own plasma is injected into the hairless scalp area. It stimulates the growth of hair in the injected area in few days. Our blood contains platelets which are an important growth factor in our body. It also affects the growth of hair. PRP is a careful process, at the beginning patient’s blood is drawn from the hand and kept in a tube. Then a machine called centrifuge spins the blood tube to separate the red blood cells from the plasma. Plasmas are full of platelets, are injected into scalp along with A-cells (Stem Cells) and Vitamins ( Vitamin B Complex, D). In few days injection kicks off its work and stimulating the growth of hair, rapidly. In few months patient can see the proper result. Presently you have the general thought of hair restoration methods. Most likely it would be simple now to take an ultimate conclusion that which one should you get ready for subsequent to meeting with the specialist. In the end, it’s dependably a specialist’s last-call strategy a patient ought to decide on, bringing about greatest advantages. 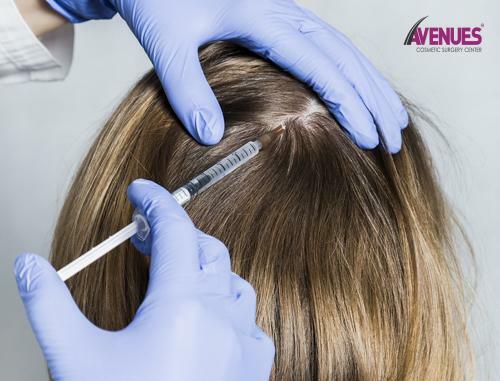 After all, At Avenues Cosmetic Centre, they have the best team of surgeons which makes it a place for best hair transplant in Ahmedabad. Book a consultation now and go for treatment.